Raj Karam is a talented designer in a variety of mediums. He has tinkered with graphic design since the early 90s. Since then he as explored elements of web design, music and video production, DJ'ing, instructional design, and crafting of malas which are beaded garlands that are used for chanting mantras. He has been an avid meditator for over 20 years, and has practiced a variety of yoga styles in the last 10 years. 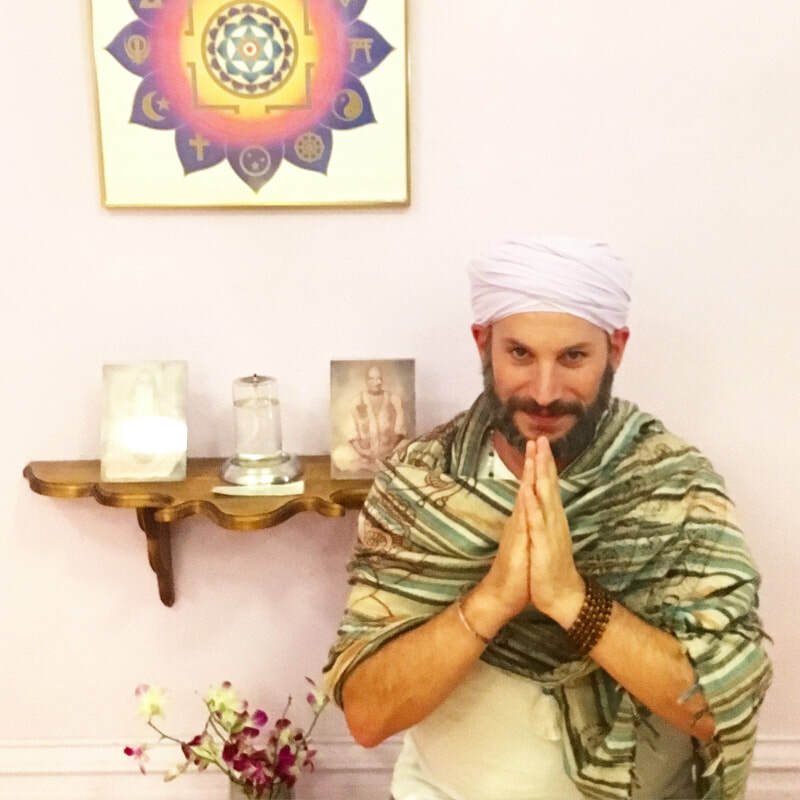 Most recently he has completed a level 1 teacher training in Kundalini Yoga as taught by Yogi Bhajan. During his yoga training and practice he has come to understand the profound effects of vibrational therapy or sound healing. His love for the healing effects of sound led him to complete a level 1 gong resonance training with Crown of Eternity. He will complete the level 2 training in fall 2018.